The Self-Absorbing Man: Daredevil #7 — On Shelves! 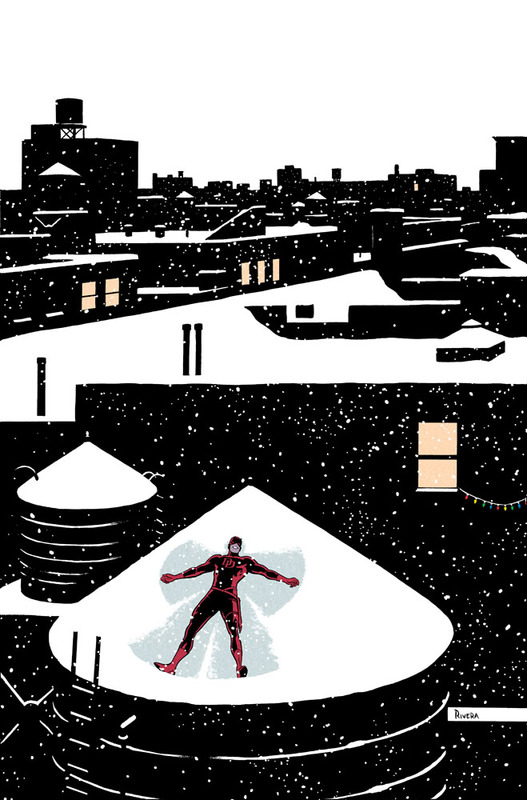 Daredevil #7 — On Shelves! on Marvel board (with digital color), 11 × 17.25″. Daredevil #7 is out today... and I'm off to Florida for a week at home with my girlfriend, my mom, and my inker. Happy holidays to all! I'll be back to blogging in the new year. P.S. I've also got a variant cover out this week for Avengers #20. Fantastic Four 50th Anniversary: Cosmic. 2010. 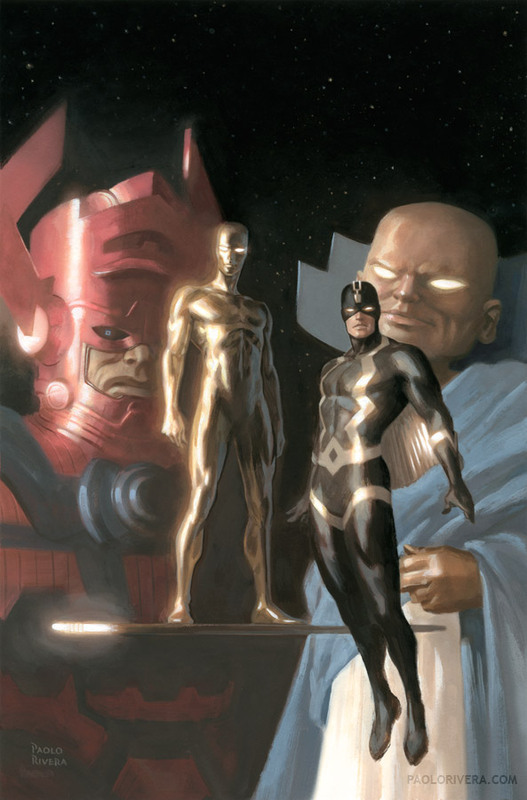 I like how The Beyonder has a "What'dya do now Black Bolt?" look. Fantastic work in today's issue, as always, Paolo. Hope you and the family have a great Xmas and you're back for more Daredevil next year! I love the way you draw those dangerous guys on the Avengers cover, but magical and warm holiday cover for Daredevil is my favorite this time! Greeting from Serbia, Paolo! Love your work! Happy holidays and all the best in 2012.! Hi, Paolo. I love your work and I´d like to see soon the use you do of your new Cintiq. I always wondered why you have never (that I know) done a comic or finished pieces in Photoshop, since the sketches I have seen are almost as good as the "analogue" pieces without being completed. They have fine sense of color and expression. Happy new year and saludos desde España! Thanks, everybody! Glad you all enjoyed the issue (and cover). Luis, I've started doing all my layouts on the Cintiq, but I'll keep doing "real" drawings and paintings (I'm addicted to original art sales).